McCain Foods has launched Quick Cook French Fries, oven fries that are ready to eat in five minutes. 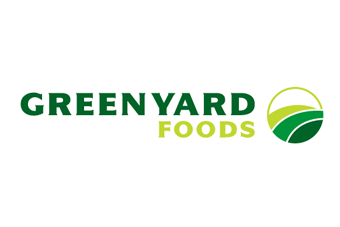 The company said that the frozen fries are "ideal" for time-poor families. With an RRP of GBP2.50 (US$4), Quick Cook French Fries will be available throughout the UK this month. McCain French Fries have long been a favourite in households across the country, but the fast pace of everyday life means mum has less time than ever to serve up tasty, easy meals that the whole family enjoys. Ready from the oven in just 5 minutes*, McCain Quick Cook French Fries are ideal for mums who are short on time but still want their family to enjoy a cooked meal when hungry mouths just won't wait. Quick Cook French Fries are cut from specially selected potatoes with just a splash of sunflower oil, making them naturally delicious. Keep a bag in the freezer as the perfect solution for a meal in minutes. They're perfect to serve with omelettes, sandwiches or cold meats for a tasty five minute meal - meaning you're guaranteed clean plates for tea every time. 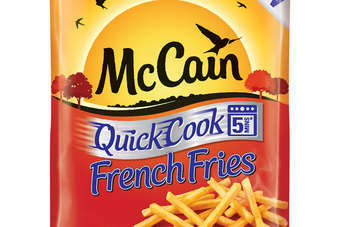 McCain Quick Cook French Fries (750g) are available in all major retail outlets from October 2013 (RRP £2.50) and join McCain's delicious portfolio of French Fries, Home Chips and 5% Fat Chips .